An amazing account of courage and true grit. 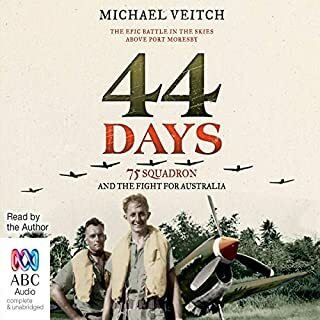 The epic World War II story of Australia's 75 Squadron - and the 44 days when these brave and barely-trained pilots fought alone against the Japanese. In March and April 1942, RAAF 75 Squadron bravely defended Port Moresby for 44 days when Australia truly stood alone against the Japanese. 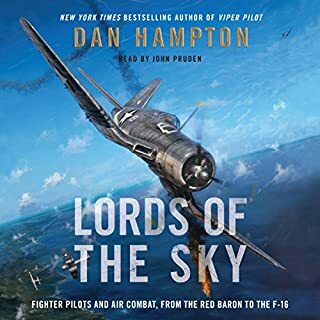 This group of raw young recruits scrambled ceaselessly in their Kittyhawk fighters to an extraordinary and heroic battle, the story of which has been left largely untold. A story that should be heard. Good book, but poor start. Garrison flew hundreds of missions for the 119th AHC, stationed in the Central Highlands at Camp Holloway in Pleiku, Vietnam. He was awarded 25 Air Medals, four campaign Bronze Stars, and The Distinguished Flying Cross, among numerous other awards. 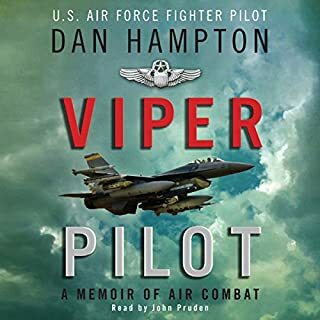 His narrative takes you through the whole process, from basic training, flight school, flying combat in Vietnam, and his return to the United States. His description includes many incidents in combat flight, including being hit by rocket propelled grenades and being on fire in the air, over hundreds if not thousands of enemy troops. But this is not all. He elaborates on the daily lives, emotions, and nuances of the pilots and what they considered their mission to be. Guts 'N Gunships is a must listen if you are to have a realistic understanding of what flying helicopters in Vietnam combat was all about. The reader who failed English! I have worked on these aircraft and flown in them many times. I could relate to the description of operation and limitation of this aircraft. I enjoyed the story, and wonder how someone could survive such operations for 12 months, physically and mentally. 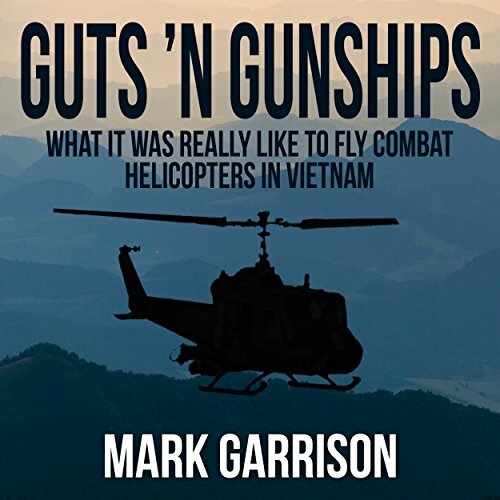 Mark Garrison sends you back to Vietnam in this incredible true story account. He tells of the horrors they went through. 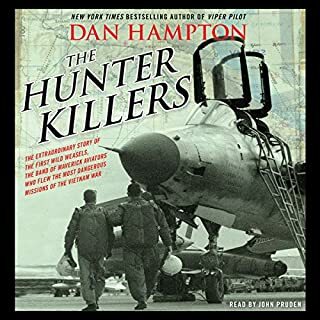 This is an interesting, exciting and funny account of one pilot's experience from initial training through to a year of gruelling and dangerous combat missions in Vietnam. If you aren't into helicopters or war stories, you may find it a bit hard-going; however I enjoy both and found even the pilot training section of the book fascinating. The author portrays life in Vietnam in a real and detailed way, with never-ending edge-of-your-seat accounts of his combat missions. Great pilot, great story and very well read. Simply put this is an excellent telling of a horrendous life experience in the Vietnam war. You can’t pilot a gunship in a two firing range every day for 12 months and not come out altered. It’s a great telling of one mans experiences. The narrator is perfect. Nothing short of an amazing journey through the eyes of a pilot and well respected man. Would you listen to Guts 'N Gunships again? Why? 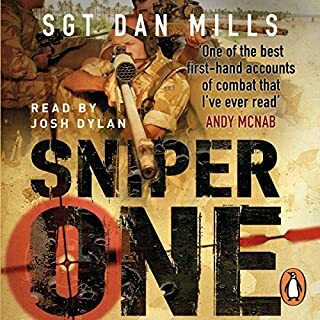 I loved this audio book - a fantastic story and as the title says, it is ALL GUTS AND GUNSHIPS ... the narration is excellent, I felt like I was there with Mike. His bravery and all those who fought in Vietnam has no bounds - absolute respect. I really cannot imagine (until I listened to this book) what it was like to be there 'in Country' and the reaction from their 'countrymen' when they returned 'Stateside'. Every story Mike Garrison told is quite amazing, in particular the firefights with VC and NVA - it is a wonder how he survived at all. 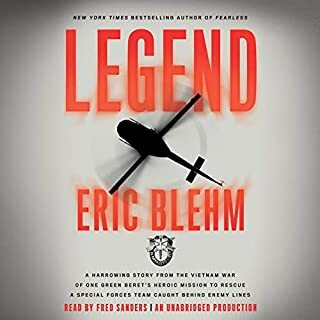 Highly recommended, great narration with a compelling story in every chapter... everyone should know what these guys did in Vietnam. I thought Chickenhawk was good but GutsnGunships is equally as excellent. Informative and never too patriotic or over the top. Recommended! 8h maybe a bit short but I knew that going in. Good book on flying Bell helos in Vietnam. Garrison has a great story to tell that is fascinating, exciting, funny and deeply sad. 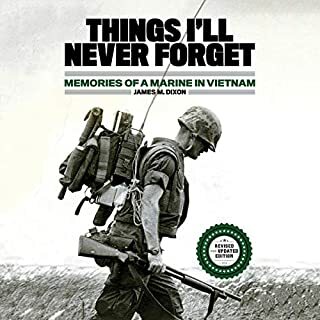 His experiences in Vietnam have followed him through his life and this book is clearly cathartic for him. While not supporting the people behind the war, during the war he and the other 'crocs' made the decision every day to support the guys on the ground so as many of them could get home alive as possible! But Garrison doesn't allow his story to become preachy. Instead it is action packed and full of gritty memories from flight school and all the way through his time in Vietnam. The narrator has a voice that is easy to listen to and suits the story. On several occasions the story could have been better edited, however. The repetition of information and sentences in subsequent chapters breaks the natural flow of the book and pulls you out of the moment. 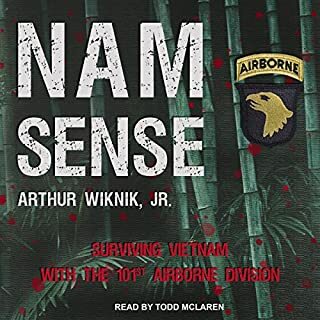 That said this is still a wonderful book that I highly recommend if you are interested in the Vietnam war. 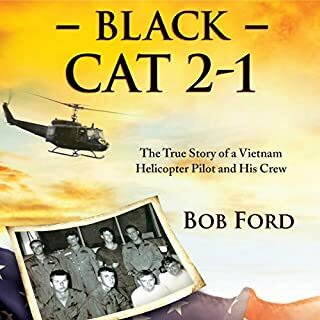 This is a memoir of a helicopter pilot from the Vietnam War. Garrison tells what it takes to be a helicopter pilot in combat. Garrison covers the time from his enlistment, boot camp, helicopter school to his combat missions in Vietnam. The author goes into detail about combat action and also includes wartime humor, and the loss of friends. The book is well written. I noted that the author flew hundreds of mission for the 119th AHC, stationed in the Central Highlands at Camp Holloway in Pleiku, Vietnam. He was awarded twenty-five air medals, four campaign medals, four Bonze Stars and the Distinguished Flying Cross among the list of medals. Garrison’s extensive combat experience comes through in the book. I found it interesting that after his war service ended Garrison decided to become a chiropractor. Seems he was following in his father’s footsteps. Eric Martin does a good job narrating the book. Where does Guts 'N Gunships rank among all the audiobooks you’ve listened to so far? It is one of the best books of this type I have listened to. Eric is without a doubt a master narrator. His voice was always clear and understandable. He put real feeling into those moments when fear and panic had to have been driving emotions though the roof. I was given this book in expectation of a review. I was skeptical at first because memoirs are normally dull and dry. I found that this book brought back memories of my own military active duty during the Vietnam era. Though I was not in the Army I did serve during the same time frame. I found the book to be extremely well written and the time line well laid out. It expressed the fears and the anxieties of men who go in harms ways. It also captured the ways men deal with them to maintain their sanity. There was a "gallows humor" that pervaded the whole adventure. And unless one has experienced the 1960s in their awesome highs and lows they would not understand the way the military was treated in light of today. As I listened to this book I could fully relate the Mark's fears and his coping. It brought light to an aspect of the war that I personally had not experienced and brought me to a better appreciation for their sacrifices and pain. Fascinating, revealing, and well narrated. What made the experience of listening to Guts 'N Gunships the most enjoyable? The detailed descriptions of combat assignments and the comradeship. What other book might you compare Guts 'N Gunships to and why? Hmmm. So may good ones out there. I will have to think about which ones I will list here. Excellent narration. First of his narrations. Cadence interesting and enunciation clear. This was an excellent book. The narrator was excellent and the story holds your attention. You will find that the pilots did not have a cushy time in Vietnam. I recommend it. 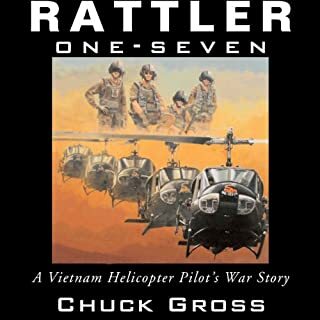 Huei pilots were insane, the Huei was a gift from God, Mark Garrison is insane, and this books gives good account as to why the most fearless men who ever served in the military ranks were the Vietnam Huei pilots. "Okay, sir, you've only got 2 feet back here, okay 1 foot, okay you've got no room, sir" when referring to rotor blades hitting trees??? That's just a taste of the insanity these men lived. It's no wonder Slick and Croc pilots of Vietnam are considered to be some of the bravest men of the military. Mark's book makes an effort to give stories of flight and the war, but also of daily life in country, relationships and down time, and shenanigans. It seems like a balanced effort to describe the full experience of Huei pilots. I doubt you'll regret this book. Very well written. The narration was top notch. I too am from a small town in Southern Ilinios, attended SIU, took a taxi ride in Taipei, and familiar with the Sheltons and Birghers and dated several Vietnam vets. Mark seemed like a friend which made his story even more interesting. As an audio book I enjoyed it very much. I listened prior to bed before drifting off. So I often had to replay it to catch up. Then I would listen through it entirely on a couple of other occasions. 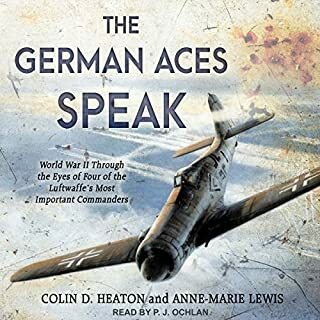 A great book to listen to if you are a war history buff such as myself. That narration was great as well. What did you love best about Guts 'N Gunships? 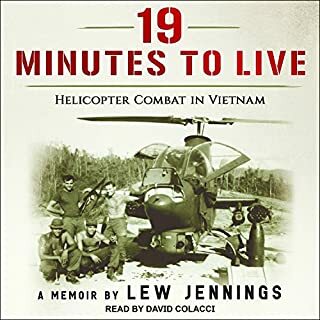 If you enjoy war stories, this audiobook will deliver eight hours worth of amazing stories from a Vietnam War-era helicopter pilot. 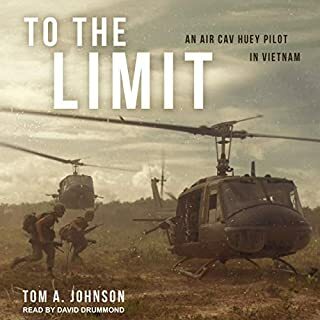 At the beginning of the audiobook, the author reminds the listener that they were about to hear one of the many "stories" of what it was like to be a helicopter pilot during the Vietnam War...and what a "story" it was! 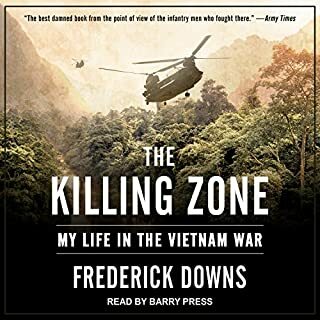 The narrator sounded a bit like Rod Sterling; nevertheless, he delivers an impressive accounting of the experiences of a man who made it through one of the scariest and most difficult periods of recent American history. A very good book! well written, well performed. with a chilling addition part way through. I would highly recommend this book. it's a must read or listen!! 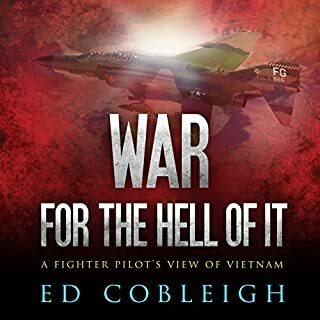 awesome insight into the training and daily life of a combat pilot in vietnam. couldn't put this down! 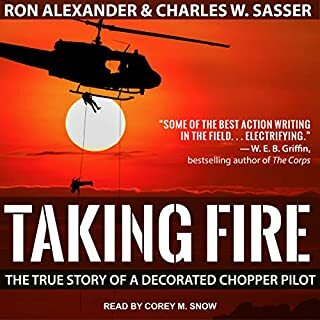 Wether you are a heli pilot or not this is riveting and does have you thinking long and hard about what people went through. filled with anecdotes and dry wit! Amazing account of the side of the war rarely told. I found this book to be anything but just a story taken from fact I assume. The author was given awarded all these medals and commendations and we were not told about the incidents. The author cherry picked about incidents that made into a story. There was a better book called Chicken Hawk about a pilot in the Vietnam War. I am a UH-1H helicopter pilot and I specialise in firefighting. I found this book to be brilliant, a must read, or listen on audio. Well done Mark. 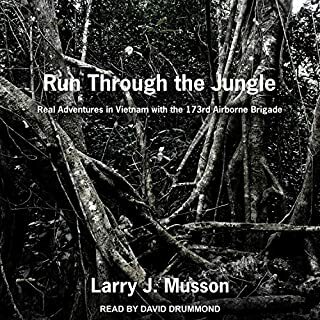 A very good listen, well written and excellent narration, learned a lot about the strategy of the U.S. in Vietnam, but most of all about the young men who fought in that war, their tremendous skill and courage and most of all their respect and friendship for each other. 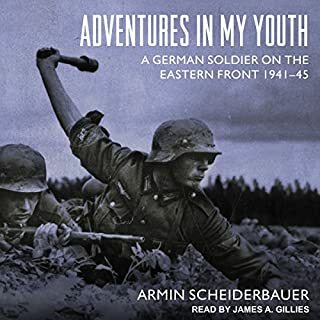 Highly recommend this audio book.